The website Tata Consultancy Services, India’s largest software vendor, has been hacked. 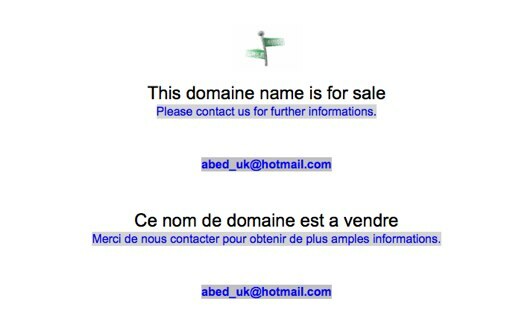 The hacker has posted a “For Sale” message on the site, which is written in both French and English. Ironically, the company produces security systems software. The hack is believed to be a DNS hijack, which is similar to the breach that Twitter succumbed to last year. TechCrunch was also recently hacked earlier this year. UPDATE: While some of our commenters have pointed out that they can visit the site, the TechCrunch team still sees the TCS page as hacked.